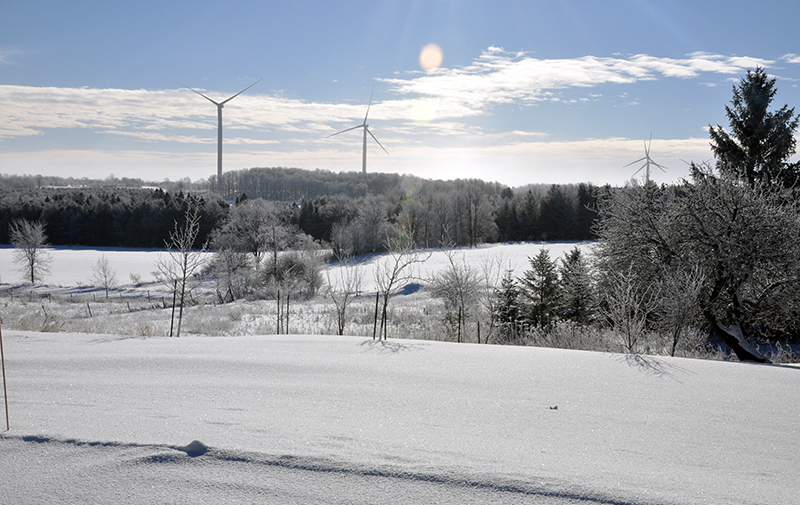 Last February, wpd Fairview Wind received approval from the Ministry of the Environment and Climate Change (MOECC) to erect eight 500-foot wind turbines in Clearview Township. An appeal filed by John Wiggins, Gail and Kevin Elwood, Preserve Clearview, Clearview Township, the Town of Collingwood and the County of Simcoe triggering a tribunal which was held in Collingwood, beginning in May. Appeals were allowed on the grounds that the project would cause serious harm to human health and serious and irreversible harm to plant life, animal life and the natural environment. In the Oct. 7 order delivered by Dirk Vanderbent and Hugh Wilkins, the tribunal found that appellants and their expert witnesses were able to show that based on flight patterns for take-offs and landings, the wind turbines pose a threat to the safety of aircraft operators. Elston said in light of the tribunal’s findings, the approval for the project could be revoked but he expects the tribunal is giving wpd every possible avenue to work through the process.